An archive of the BBC Music News LIVE service's weekly feature on the top up-and-coming bands and artists. 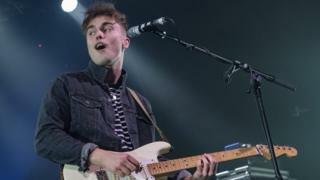 From of the breakout success of 2019 Brits Critics' Choice winner Sam Fender and runner-up Lewis Capaldi, to the Nicki Minaj co-signed Ms Banks - via BBC Biggest Weekend stars Dream Wife, The Orielles and Connie Constance - here's a collection of archived interviews from our regular Newbie Tuesday feature. Click on the links below for more information (some links may need refreshing).